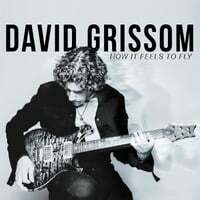 David Grissom | David Grissom: Austin,TX guitarist and songwriter | Blog : On Air Interview from KPFT Houston! On Air Interview from KPFT Houston! grissom.mp3Here' a link to the interview I did with Roark on KPFT in Houston last week. He asks some great questions! Get Way Down Deep at iTunes! © 2019 David Grissom. All Rights Reserved. Powered by HostBaby.